Applicants are invited to apply for a PhD position at Eindhoven University of Technology. This position is available for 4 years. Applications will be evaluated immediately. 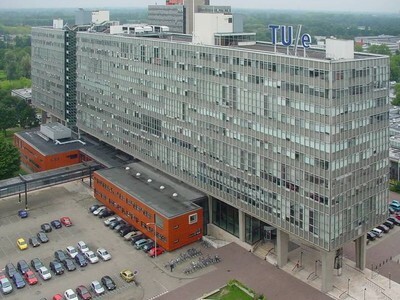 Eindhoven University of Technology (https://www.tue.nl/en/) is one of Europe's top technological universities, situated at the heart of a most innovative high-tech region. Thanks to a wealth of collaborations with industry and academic institutes, TU/e's research has real-world impact. In 2018, TU/e was ranked 1st in the CWTS Leiden ranking on collaboration with industry and 99th in the QS ranking. TU/e has around 3,000 employees and 2,300 PhD students (half of which international, representing about 70 nationalities). Within the Electrical Engineering (EE) Department, the Integrated Circuits (IC) group focuses on analog and mixed-signal circuit design for front ends, including (sub-) millimetre wave circuits as well as AD and DA conversion for communication and sensing. The EE department strives for societal relevance through an emphasis on the fields of smart sustainable systems, the connected world, and care and cure. The PhD position is part of the project "Smart Mobility". This project is embedded into the Eindhoven Engine and is in cooperation with NXP. In the "Smart Mobility" project we work on IC design of innovative automotive radar systems. Automotive radar is an enabler of fully autonomous driving with large societal impact for reduction of accidents, vehicle emissions and energy savings. Although today's radars offer high levels of distance and speed resolution, level 4-5 of autonomous driving will require an even further step in localization performance, angular resolution in azimuth and elevation, ability for object classification, and inherent detection reliability against interference from radars of multiple road users. We offer a challenging job at a dynamic and ambitious university through a fixed-term appointment for a period of 4 years. The research in this project must be concluded with the attainment of a Ph.D. degree. As an employee of the university you will receive a competitive salary as well as excellent employment conditions. A salary is offered starting at 2325.- per month (gross) in the first year, increasing up to 2972.- per month (gross) in the last year. Moreover, an 8% bonus share (holiday supplement) is provided annually. Assistance for finding accommodation can be given. The university offers an attractive package of fringe benefits such as excellent technical infrastructure, child care, savings schemes, and excellent sports facilities. More information on employment conditions can be found here: http://www.tue.nl/en/university/working-at-tue/working-conditions. For more information about the project and any informal enquiries, please contact Prof. Marion Matters ( ). If you are interested in this position you can apply by using the ‘Apply now’-button’.